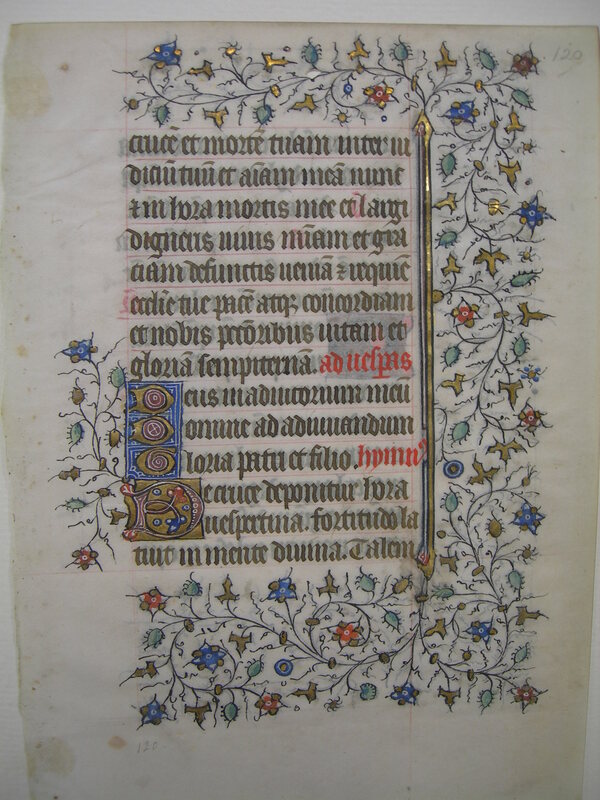 Text: This leaf contains text from the Hours of the Cross, starting at Nones and then on to Vespers. Reconstruction Note! 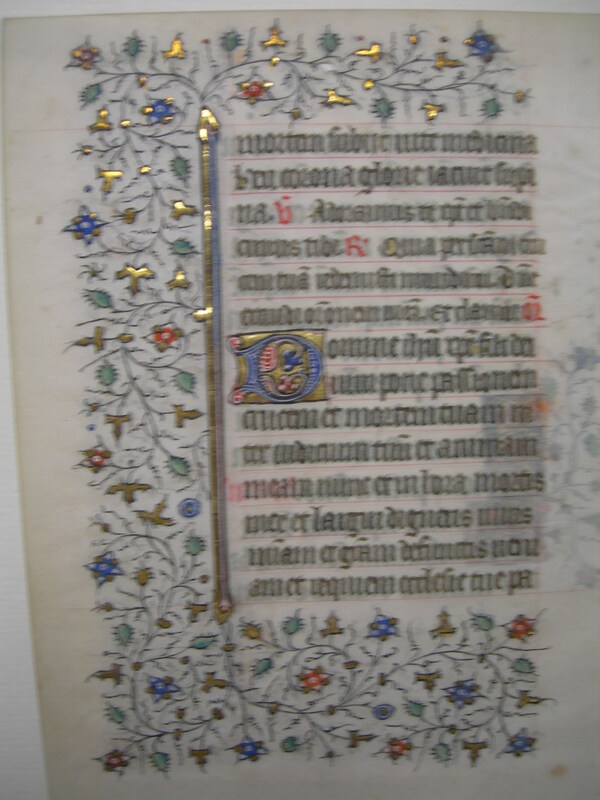 In Ege's original manuscript, this leaf followed what is now Leaf 30 in the University of Saskatchewan portfolio. crucem et mortem tuam inter iudicium tuum et animam meam, nunc, et in hora mortis meae: et mihi largiri digneris gratiam et misericordiam: vivis et defunctis requiem et veniam: Ecclesiae tuae pacem et concordiam, et nobis peccatoribus vitam et gloriam sempiternam. Ad vesperis. Deus in adiutorium meum intende. Gloria patri et filio. Hymnus. and death between thy judgment and my soul, now, and in the hour of my death and vouchsafe to grant unto me grace and mercy: to the living and the dead rest and pardon: to thy Church peace and concord, and to us sinners life and glory everlasting. At vespers. Incline unto my aid O God. Glory to the father and son. Hymn. mortem subiit vitae medicina: Heu corona gloriae iacuit supina. V: Adoramus te Christe, et benedicimus tibi. R: Quia per sanctam crucem tuam redemisti mundum. [ ] Oratio. ...a death vouchsafed to take of life the medicine sound: Glory's crown alas the while lay groveling on the ground. V: We adore thee O Christ, and we bless thee. R: For that by thy holy Cross thou hast redeemed the world. [ ] Prayer.